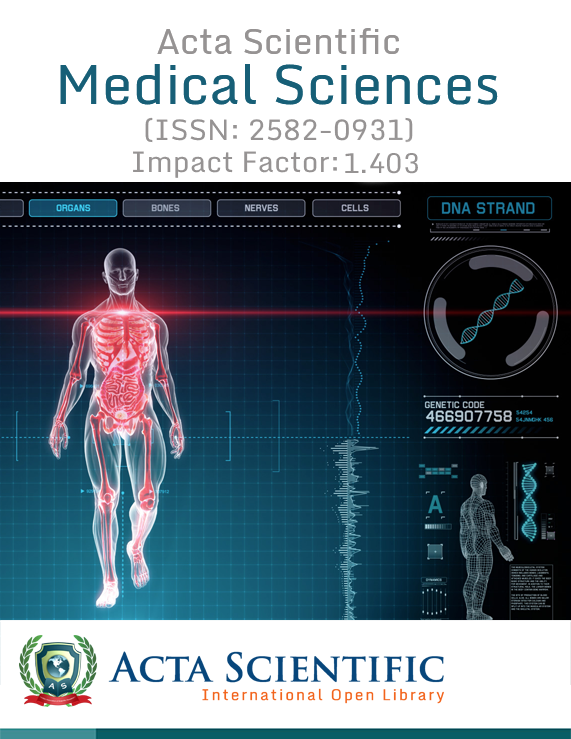 Acta Scientific Nutritional Health (ASNH) is a multidisciplinary, peer-reviewed scientific journal that covers topics relevant to nutrition and diet and palatability of foods and their applications. The journal aims to focus on the advancements in the field of nutrition, dietetics and food sciences. ASNH is an amazing platform to present advances in nutritional research including clinical nutrition and various technological advancements. The vision of the journal is to enhance the human well-being for a healthy society. The field of nutrition includes the study of nutrients, biomarkers for assessing the influence of dietary components on human health status. The journal explores all the aspects of nutrition some of which include energy metabolism and its regulation, proteins, lipids, carbohydrates, amino acids, vitamins, minerals, nutritional microbiology, comparative nutrition, Culinology, sports nutrition, nutritional toxicology, public health nutrition and all the relevant topics of nutritional science. 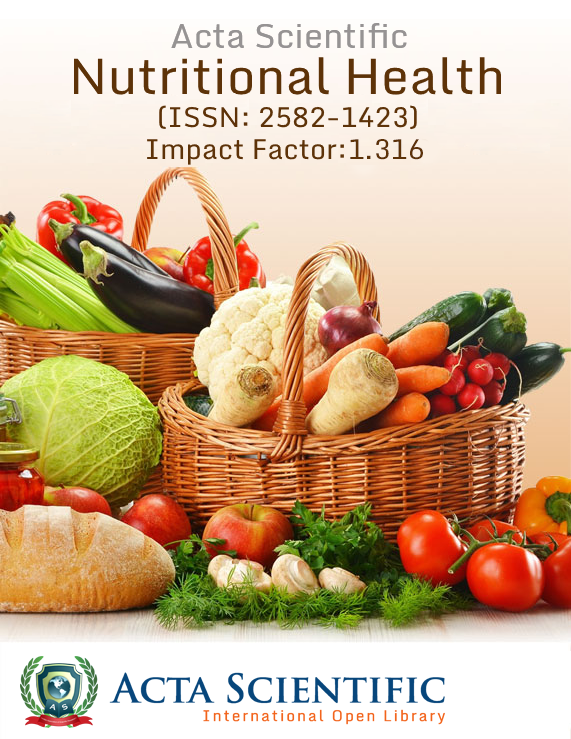 Internationally profound journal that Publishes articles on various disciplines of Nutrition. Nutritional and Food science is the most significant subject for a safe, strong and a healthy society. Quality research on nutritional sciences contributes to the improvement of public health and there is a requirement of better understanding of the science involved in nutrition and dietetics. It is essential to create awareness among the public regarding the role of nutrition and the identification of sensible solutions to public health issues. Every day, we are faced with several problems due to lack of healthy nutritional diet. These problems can be overcome by making the smart food and nutrition choices that is a necessary part of everyone's daily life. 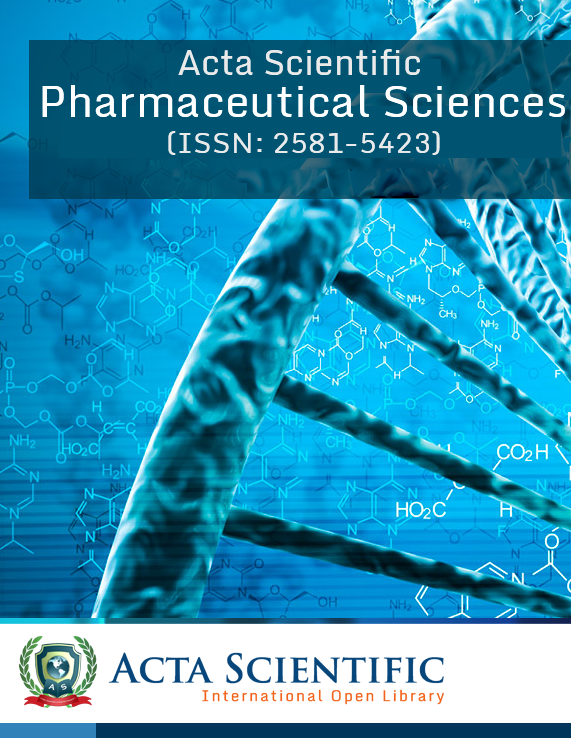 The journal desires to serve the scientific community by exploring the ideas of the scientific researchers in all the aspects of nutritional sciences. Nutritional methodologies, Nutrition requirements, Nutrient physiology and metabolism, Nutritional medicine, Nutritional epidemiology, Dietetics, Nutritional toxicities, Sports nutrition, Malnutrition, Vitamins, Proteins, Carbohydrates, Fibers, Lipids and Minerals, Nutritional neurosciences, Nutritional immunology, Overnutrition, Nutrigenetics and Nutrigenomics, Prenatal nutrition, Biochemistry and cellular metabolism of nutrients, Effect of nutrition on metabolic control, Impact of hormones and genetics on nutrient handling, Dietary strategies, Public health policy & Health economics, Nutritional disorders, Sensory evaluations of food, Food preservation and Quality control, Food processing industries and Food processing engineering, Organic nutrition, Food regulatory affairs, Applications of nanotechnology in food and nutrition, Nutrition and food science, Paediatric nutrition, Food technology and its applications, Food security and challenges, Current research in food science and technology, Applied human nutrition, Culinology, Probiotics, Food chemistry, Food allergies and intolerances, Nutraceutical, Healthy eating Initiatives, Human nutrition over the life span, Family meal management, Sensory and food quality, Consumption and eating habits, Food rheology, Food fortification, Nutrification, Food toxicology, Food analysis, Diets and diseases, Food packaging, Calorie intake and consumption, Dietary supplement, Food function and relationships between diet and disease, Fish nutrition, Animal nutrition, Consumer attitudes to food and risk assessment, Research methods in human nutrition, World problems in nutrition, Biotechnology in agricultural food production. The journal covers all the diversified topics irrelevant to nutrition. Egwujeh Simeon Iko-Ojo Dignity, Adama Esther and Yusufu, Peter Awodi . Tina Cloney, Courtney Feger and Samantha Janvrin. Published: February 28, 2019; Volume 3 Issue 3: 115-122. Published: February 28, 2019; Volume 3 Issue 3: 114. Published: February 28, 2019; Volume 3 Issue 3: 110-113. Deepika M and Balasasirekha R.
Published: February 28, 2019; Volume 3 Issue 3: 105-109. Published: February 27, 2019; Volume 3 Issue 3: 103-104. 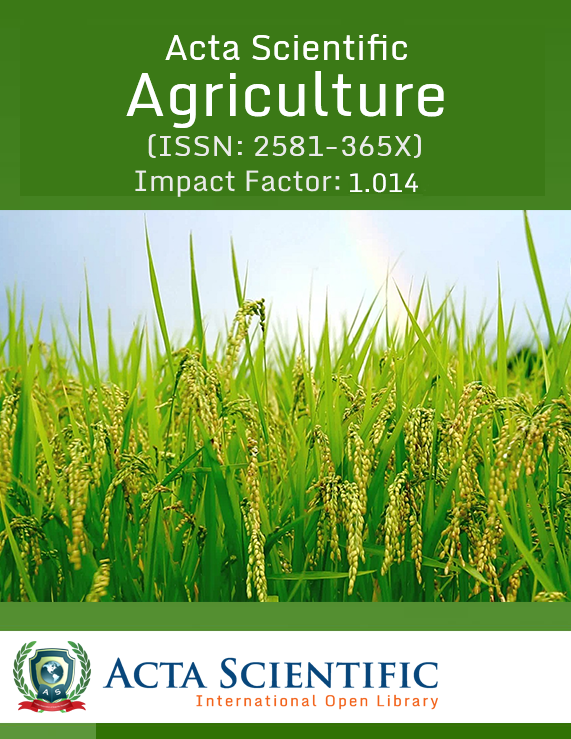 Published: February 27, 2019; Volume 3 Issue 3: 96-102. Published: February 27, 2019; Volume 3 Issue 3: 95. Acosta A Gustavo, Moreno G Ladys, Hernández H Marlene, Adrian Heald and Cortés M Gabriela Y. Published: February 27, 2019; Volume 3 Issue 3: 87-94. Hemanth Kumar Manikyam, Avaneesh Kumar and Ataa Kenttar. Published: February 22, 2019; Volume 3 Issue 3: 83-86. Published: February 22, 2019; Volume 3 Issue 3: 79-82. Prerna Singh, Kapil Malviya and Alok Raghav. Published: February 22, 2019; Volume 3 Issue 3: 77-78. Published: February 22, 2019; Volume 3 Issue 3: 74-76. 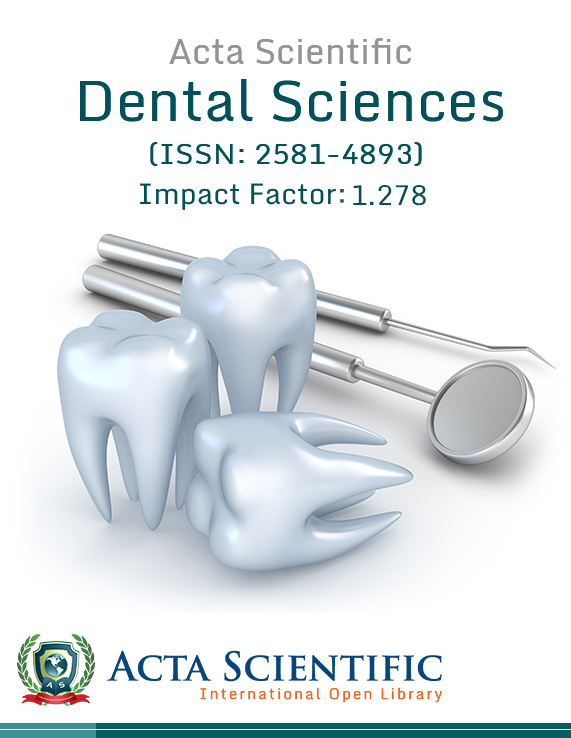 Published: February 20, 2019; Volume 3 Issue 3: 70-73. Sunday Adeola Emaleku, Taye Adepoju and Olusola D Omueti. Published: February 20, 2019; Volume 3 Issue 3: 64-69. Published: February 20, 2019; Volume 3 Issue 3: 61-63. Published: February 20, 2019; Volume 3 Issue 3: 60. Published: February 18, 2019; Volume 3 Issue 3: 58-59. Published: February 18, 2019; Volume 3 Issue 3: 53-57. Naveen Jose, Gajanan P Deshmukh and Menon Rekha Ravindra. Published: February 18, 2019; Volume 3 Issue 3: 44-49. Charifah Siddiki, Dzudie Anastase, Doualla Marie Solange and Assob Nguedia Jules Clement. Published: February 13, 2019; Volume 3 Issue 3: 31-43. Megha CP, Divya Ramesh and Jamuna Prakash. Published: February 12, 2019; Volume 3 Issue 3: 23-30. Published: February 04, 2018; Volume 3 Issue 3: 03-22. Peter Uwadiegwu Achukwu, Nosa Terry Omorodion, Erabor Tosan, Henry E aloh, Eze Charles and Okoyeocha OME. 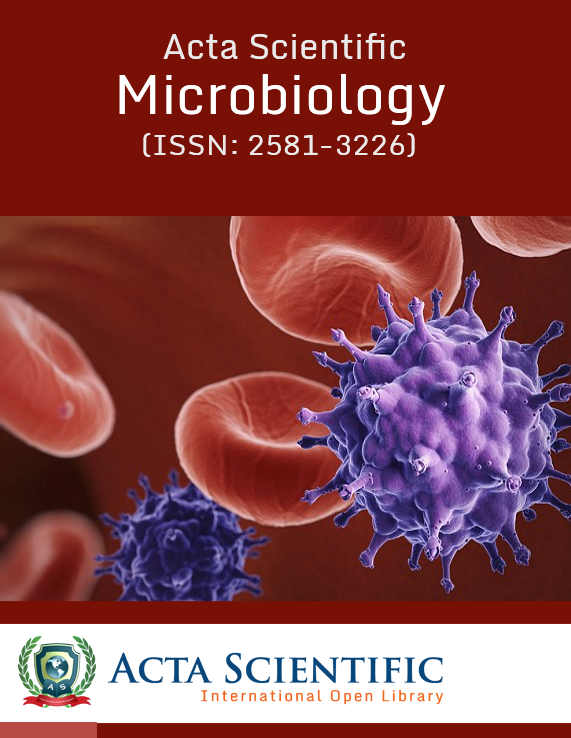 Published: January 30, 2019; Volume 3 Issue 2: 125-133. GTO Otitoju, O Otitoju, CP Ezenwa, BB Emmanuel Omale, RO Abdussalaam and JE Ali. 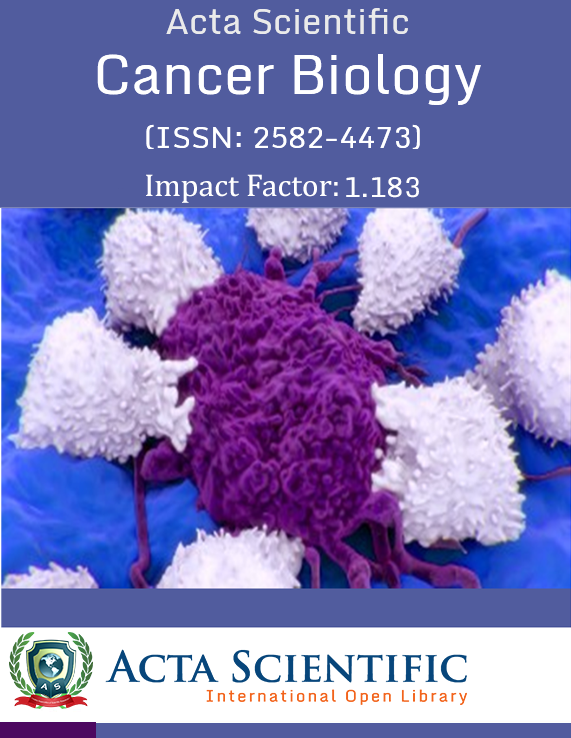 Published: January 29, 2019; Volume 3 Issue 2: 120-124. Isaac W Ofosu, Gloria M Ankar-Brewoo, Herman E Lutterodt, Luke PM Tetteh, Edmund O Benefo and William O Ellis. Published: January 29, 2019; Volume 3 Issue 2: 110-119. Arpi Dey and Laxmipriya Nampoothiri. Published: January 29, 2019; Volume 3 Issue 2: 97-109. Osama El Razaky and Doaa El Amrousy. Published: January 22, 2019; Volume 3 Issue 2: 94-96. Vishwanath P Hiremath and Shivalingappa Javali. Published: January 22, 2019; Volume 3 Issue 2: 90-93. Published: January 17, 2019; Volume 3 Issue 2: 84-89. Published: January 17, 2019; Volume 3 Issue 2: 81-83. Published: January 11, 2019; Volume 3 Issue 2: 74-80. Foujdar R, Naik RR, Palak and Bera MB. Published: January 10, 2019; Volume 3 Issue 2: 68-73. Prabhsimran Kaur, Naveet Kaushal, Ajay Singh, Saurabh Gupta and Gaganpreet Kaur. Published: January 10, 2019; Volume 3 Issue 2: 61-67. Published: January 08, 2019; Volume 3 Issue 2: 54-60. Published: January 08, 2019; Volume 3 Issue 2: 52-53. Saeed Paidari, Mohammad Goli, Ensieh Sadat Anari and Nakisa Sohrabi Haghdoust. Published: January 07, 2019; Volume 3 Issue 2: 47-51. Published: January 07, 2019; Volume 3 Issue 2: 43-46. Manuel Palma and Paz Robert. Published: January 07, 2019; Volume 3 Issue 2: 34-42. Gobeje A, Measo G, Ajeb A and Chanie T.
Published: January 07, 2019; Volume 3 Issue 2: 25-33. Published: January 04, 2019; Volume 3 Issue 2: 23-24. Etalem Tesfaye, Wondmeneh Esatu, Kasech Melese and Tadios Habte. Published: January 02, 2019; Volume 3 Issue 2: 04-12. Narges Atabaki and Rambod Abiri. Published: December 31, 2018; Volume 3 Issue 2: 01-03. Published: December 21, 2018; Volume 3 Issue 1: 93-95. Published: December 20, 2018; Volume 3 Issue 1: 92. 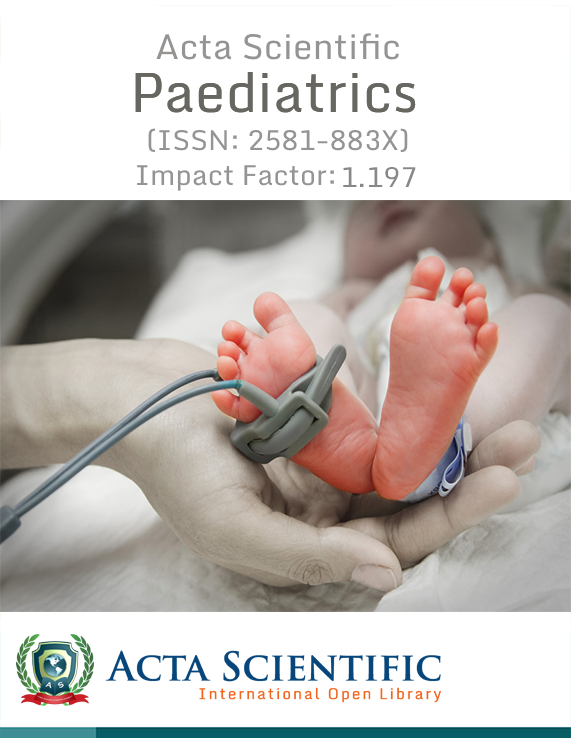 Published: December 20, 2018; Volume 3 Issue 1: 83-91. Shafeeqa Irfan, Muhammad Modassar Ali Nawaz Ranjha, Shahid Mahmood, Ghulam Mueen-ud-Din, Saqib Rehman, Wajiha Saeed, Muhammad Qamrosh Alam, Syeda Mahvish Zahra, Muhammad Yousaf Quddoos, Iqra Ramzan, Ayesha Rafique and Abdullah bin Masood. Published: December 20, 2018; Volume 3 Issue 1: 78-82. Published: December 20, 2018; Volume 3 Issue 1: 75-77. Kunjal Shrestha and Dhan Bahadur Karki. Published: December 18, 2018; Volume 3 Issue 1: 70-74. Published: December 17, 2018; Volume 3 Issue 1: 68-69. Published: December 14, 2018; Volume 3 Issue 1: 61-67. Published: December 14, 2018; Volume 3 Issue 1: 58-60. Published: December 14, 2018; Volume 3 Issue 1: 44-57. Shaw Watanabe, Izumi Utada, Takayoshi Hisada and Reiko Takiguchi. Published: December 14, 2018; Volume 3 Issue 1: 35-43. Juliano Elias Farah and Maria Gisele Dos Santos. Published: December 13, 2018; Volume 3 Issue 1: 27-34. Published: December 04, 2018; Volume 3 Issue 1: 25-26. Published: December 04, 2018; Volume 3 Issue 1: 12-16. Published: December 04, 2018; Volume 3 Issue 1: 03-11. Susana Campos and Filipa Jorge. Published: November 22, 2018; Volume 2 Issue 12: 39-41. Published: November 22, 2018; Volume 2 Issue 12: 36-38. Published: November 21, 2018; Volume 2 Issue 12: 34-35. Published: November 21, 2018; Volume 2 Issue 12: 26-33. Published: November 21, 2018; Volume 2 Issue 12: 20-25. Ayman S Alhazmi, Anas Alomey, Hilal Almalki, Mazen Almehmadi, Mohammad Albshri, Naif Algarni and Sultan Almutiri. Published: November 16, 2018; Volume 2 Issue 12: 11-13. Shaw Watanabe, Sayuri Kodama and Kazunori Matsumura. Published: November 08, 2018; Volume 2 Issue 12: 08-10. Kharb S, Bhardwaj J, Goel K and Nanda S.
Published: November 05, 2018; Volume 2 Issue 12: 03-07. Suchismita Roy and Shaik Abdul Hussai. Published: November 01, 2018; Volume 2 Issue 12: 01-02. Published: October 26, 2018; Volume 2 Issue 11: 33-38. Abdelkrim Berroukche, Mohamed Terras, Abdelkader Ammam, Hafsa Dellaoui, Wassila Lansari and Imen Zerarki. Published: October 26, 2018; Volume 2 Issue 11: 28-32. Functional Food: What Are They? and Why Are They So Popular? Pongsak Rattanachaikunsopon and Parichat Phumkhachorn. Published: October 25, 2018; Volume 2 Issue 11: 26-27. Ojinnaka MC, Shadrack DM, Anankware JP and Odinkemere- Davidson VN. Published: October 24, 2018; Volume 2 Issue 11: 19-25. Diarra M, Nkama I and Hamaker BR. Published: October 24, 2018; Volume 2 Issue 11: 16-18. Makinde Folasade Maria and Adebile Tolulope Victoria. Published: October 24, 2018; Volume 2 Issue 11: 07-15. Soumitra Banerjee, Meghashree HM, Swarrna Haldar and Nagananda GS. Published: October 04, 2018; Volume 2 Issue 11: 02-06. Published: October 01, 2018; Volume 2 Issue 11: 01. Published: September 28, 2018; Volume 2 Issue 10: 28-30. Nahla Subhi Al-Bayyari, Hayder Al-Domi, Faheem Zayed and Rae’d Hailat. Published: September 28, 2018; Volume 2 Issue 10: 22-27. Published: September 28, 2018; Volume 2 Issue 10: 12-21. Published: September 20, 2018; Volume 2 Issue 10: 11. Muna Ilowefah, Chiemela Enyinnaya Chinma, Jamilah Bakar, Hasanah Mohd Ghazali and Kharidah Muhammad. Published: September 19, 2018; Volume 2 Issue 10: 02-10. Published: September 07, 2018; Volume 2 Issue 10: 01. Published: September 07, 2018, 2018; Volume 2 Issue 9: 23-25. Published: September 07, 2018, 2018; Volume 2 Issue 9: 21-22. Published: August 21, 2018; Volume 2 Issue 9: 12-13. Mei-Yu Tu and Tsair-Wei Chien. Published: August 16, 2018; Volume 2 Issue 9: 04-11. Published: August 01, 2018; Volume 2 Issue 9: 01-03. Published: July 13, 2018; Volume 2 Issue 8: 47-50. Avinash Shankar, Amresh Shankar and Anuradha Shankar. Published: July 11, 2018; Volume 2 Issue 8: 40-46. Estela Guardado Yordi, Amaury Pérez Martínez, Lourdes Santana, Enrique Molina and Eugenio Uriarte. Published: July 10, 2018; Volume 2 Issue 8: 36-39. Published: July 09, 2018; Volume 2 Issue 8: 35. Mohammad Habibur Rahman, Md Saiful Islam and Bidhan Chandra Sutradhar. Published: July 06, 2018; Volume 2 Issue 8: 32-34. Rohitashw Kumar, Harender Raj and Prahlad Jat. Published: July 05, 2018; Volume 2 Issue 8: 29-31. Sugasini D, Poorna CR Yalagala, Kavitha B, Kasthuri T, Vijayalakshmi Y, Prasanth Kumar PK and Saravana Kumar R.
Published: July 04, 2018; Volume 2 Issue 8: 22-28. Pampa Basu, Arupkumar Chakrabartty, Urmila Dasgupta, Krishnadas Bhattacharyya, Saikat Bhattacharya and Kazi Monjur Ali. Published: July 04, 2018; Volume 2 Issue 8: 17-21. Deniz D Tosun and Emrah Kaya. Published: July 03, 2018; Volume 2 Issue 8: 13-16. Peter Uwadiegwu Achukwu, Richard Ikechukwu Eze and Nosa Terry Omorodion. Published: July 02, 2018; Volume 2 Issue 8: 04-12. Published: July 01, 2018; Volume 2 Issue 8: 01-03. Published: June 27, 2018; Volume 2 Issue 7: 95-96. Chinelo A Ezeabara and Regina O Anona. Published: June 27, 2018; Volume 2 Issue 7: 90-94. Published: June 25, 2018; Volume 2 Issue 7: 80-89. Published: June 23, 2018; Volume 2 Issue 7: 77-79. Wondyefraw Mekonen, Diresibachew Haile and Richard J Bloomer. Published: June 22, 2018; Volume 2 Issue 7: 71-76. Published: June 21, 2018; Volume 2 Issue 7: 69-70. Muhammad Arshad Ullah, Arshad Ali, Muhammad Aslam and Syed Habib Ullah. Published: June 09, 2018; Volume 2 Issue 7: 64-68. Jade L Caldwell, Kristen A Chambers, Damien C Moore, Charles R Yates and Richard J Bloomer. Published: June 09, 2018; Volume 2 Issue 7: 54-63. Published: June 08, 2018; Volume 2 Issue 7: 42-53. Published: June 07, 2018; Volume 2 Issue 7: 25-41. Sophia Pandi and Derek Watson. Published: June 06, 2018; Volume 2 Issue 7: 16-24. Published: June 06, 2018; Volume 2 Issue 7: 10-15. Enno Christian Kurt Freye and Hans -Peter Strobel. Published: June 05, 2018; Volume 2 Issue 7: 02-09. Published: June 01, 2018; Volume 2 Issue 7: 01. Published: May 29, 2018; Volume 2 Issue 6: 53-54. Published: May 22, 2018; Volume 2 Issue 6: 51-52. Vijaya Khader, Former Dean and Acharya NG Ranga. Published: May 21, 2018; Volume 2 Issue 6: 43-50. Published: May 18, 2018; Volume 2 Issue 6: 37-42. Ananya Bhowmik, Debnath Chaudhuri and Subhasish Kamal Guha. Published: May 17, 2018; Volume 2 Issue 6: 34-36. Published: May 15, 2018; Volume 2 Issue 6: 32-33. Published: May 15, 2018; Volume 2 Issue 6: 29-31. Farah Habib and Anisa M Durrani. Published: May 10, 2018; Volume 2 Issue 6: 21-23. Sima Hamadeh and Shant Estepan. Published: May 08, 2018; Volume 2 Issue 6: 12-20. De Alzaa F, Guillaume C and Ravetti L.
Published: May 05, 2018; Volume 2 Issue 6: 02-11. Published: May 02, 2018; Volume 2 Issue 6: 01. Published: April 30, 2018; Volume 2 Issue 5: 37-39. Lopa Basu and Herbert W Ockerman. Published: April 30, 2018; Volume 2 Issue 5: 34-36. Published: April 27, 2018; Volume 2 Issue 5: 31-33. Ushakiran Sisodia, Nirva Desai and Bhavika Singhvi. Published: April 26, 2018; Volume 2 Issue 5: 29-30. Published: April 25, 2018; Volume 2 Issue 5: 27-28. Eun-Kyung Song, Yanan Liu, Hyun-Sook Kim and Hyunjin Park. Published: April 25, 2018; Volume 2 Issue 5: 21-26. Ushakiran Sisodia, Nirva Desai and Sonia Akerkar. Published: April 21, 2018; Volume 2 Issue 5: 19-20. Timmy Richardo and Renee Lay Hong Lim. Published: April 19, 2018; Volume 2 Issue 5: 15-18. Shantanu Sharma, Charu Kohli and Nandini Sharma. Published: April 16, 2018; Volume 2 Issue 5: 10-14. Oduwaye OF, Omenna EC and Ogundeji BA. Published: April 13, 2018; Volume 2 Issue 5: 05-09. Marijana Ačanski, Kristian Pastor, Vesna Vučurović and Djordje Jovanović. Published: April 11, 2018; Volume 2 Issue 5: 02-04. Alamgir Khan and Salahuddin Khan. Published: April 02, 2018; Volume 2 Issue 5: 01. Ana Alejandra Franco Meza, Juan Pablo Preciado, Jaime Duarte Jiménez and Bianca Munguía Casillas. Published: March 30, 2018; Volume 2 Issue 4: 51-59. Published: March 29, 2018; Volume 2 Issue 4: 43-50. Madharasi VA Pichai, Pamela Murray, Nishi Karunasinghe, Lynnette R Ferguson. Published: March 29, 2018; Volume 2 Issue 4: 34-42. Published: March 27, 2018; Volume 2 Issue 4: 29-31. Published: March 26, 2018; Volume 2 Issue 4: 28. Published: March 23, 2018; Volume 2 Issue 4: 24-27. Published: March 21, 2018; Volume 2 Issue 4: 20-23. Brij Nandan, BC Sharma, Kapliashiv Bazgalia, Rakesh Kumar and Monika Banotra. Published: March 21, 2018; Volume 2 Issue 4: 12-19. G Daradkeh, N Bayyari, Asma Al Muhannadi and H Awadat. Published: March 08, 2018; Volume 2 Issue 4: 09-11. Published: March 01, 2018; Volume 2 Issue 4: 01-08. Published: February 23, 2018; Volume 2 Issue 3: 32. Published: February 22, 2018; Volume 2 Issue 3: 28-31. Published: February 03, 2018; Volume 2 Issue 3: 08-18. Nosa Terry Omorodion and Wilson Ogbonna Ajanwachuku. Published: February 02, 2018; Volume 2 Issue 3: 03-07. Published: February 01, 2018; Volume 2 Issue 3: 01-02. Marina de Moraes Vasconcelos Petribú. Published: January 31, 2018; Volume 2 Issue 2: 17. Published: January 18, 2018; Volume 2 Issue 2: 13-16. Prerna Singh and Alok Raghava. Published: January 12, 2018; Volume 2 Issue 2: 11-12. Sadequa Shahrook and Jessica Sine. Published: January 12, 2018; Volume 2 Issue 2: 06-10. Published: January 09, 2018; Volume 2 Issue 2: 03-05. Published: January 02, 2018; Volume 2 Issue 2: 01-02. Antonietta Baiano and Maria Assunta Previtali. Published: December 28, 2017; Volume 2 Issue 1: 31-35. Published: December 26, 2017; Volume 2 Issue 1: 21-30. Published: December 26, 2017; Volume 2 Issue 1: 19-20. Melese Temesgen, Negussie Retta and Etalem Tesfaye. Published: December 22, 2017; Volume 2 Issue 1: 12-18. AS Jessel and T Selvaraj. Published: December 07, 2017; Volume 2 Issue 1: 08-11. Egwujeh Simeon Iko-Ojo Dignity, Onuh Oloche John, Yusufu Peter Awodi and Yakubu Aminat. Published: December 07, 2017; Volume 2 Issue 1: 03-07. Published: December 05, 2017; Volume 2 Issue 1: 01-02. Nadia Toudert, Ali Zaiter, Salah Eddine Djilani, Noureddine Dada, Abdelouaheb Djilani and Amadou Dicko. Published: September 27, 2017; Volume 1 Issue 5: 03-07. Published: September 26, 2017; Volume 1 Issue 5: 01-02. Kethylen Barbara Barbosa Cardoso, Bruna Kelly Pereira Alves de Souza, Romero Marcos Pedrosa Brandão-Costa, Wendell Wagner Campos Albuquerque and Ana Lúcia Figueiredo Porto. Published: August 08, 2017; Volume 1 Issue 4: 03-06. Published: August 05, 2017; Volume 1 Issue 4: 01-02. Avinash Shankar, Abhishek Shankar, Shubham, Amresh Shankar and Anuradha Shankar. Published: July 28, 2017; Volume 1 Issue 3: 61-66. Ajugwo AO, Nwoke BEB, Ozims SJ, Eberendu IF and Nwibana BK. Published: July 26, 2017; Volume 1 Issue 3: 55-60. Published: July 25, 2017; Volume 1 Issue 3: 54. Deeptanshu Basu and Sutapa Basu. Published: July 24, 2017; Volume 1 Issue 3: 47-53. Published: July 23, 2017; Volume 1 Issue 3: 46. María Verónica Fernández, Rosa Juana Jagus and María Victoria Agüero. Published: July 23, 2017; Volume 1 Issue 3: 37-45. Mezey Ján and Serralegri Davide. Published: July 21, 2017; Volume 1 Issue 3: 23-29. Raquel PF Guiné , Eunice Santos and Paula MR Correia. Published: July 18, 2017; Volume 1 Issue 3: 18-22. Published: July 10, 2017; Volume 1 Issue 3: 16-17. Sadequa Shahrook, Yipeng Ge and Mahshid Dehghan. Published: July 06, 2017; Volume 1 Issue 3: 03-15. Published: July 01, 2017; Volume 1 Issue 3: 01-02. Published: June 26, 2017; Volume 1 Issue 2: 55. Published: June 24, 2017; Volume 1 Issue 2: 49-54. Jadhav Vijay Prabhakar and Jayashri P Hiremath. Published: June 22, 2017; Volume 1 Issue 2: 43-48. Divya Kumari, R Naveen Kumar, V Bhaskar, DP Chakravarthy and V Sudershan Rao. Published: June 19, 2017; Volume 1 Issue 2: 38-42. Martina Samm and Krisha Thiagarajah. Published: June 16, 2017; Volume 2 Issue 2: 33-37. Published: June 14, 2017; Volume 1 Issue 2: 31-32. Olugbenga O Awolu, Achenyo M Olorunfemi, Victor N Enujiugha and Catherine F Arowosafe. Published: June 10, 2017; Volume 1 Issue 2: 21-30. Mohamed Nour-Eldin Farid Hamad, Magdy Mohamed Ismail and Esraa Mohamed Elraghy. Published: June 09, 2017; Volume 1 Issue 2: 09-20. Published: June 07, 2017; Volume 1 Issue 2: 07-08. Travis Muller and Amber Haroldson. Published: June 02, 2017; Volume 1 Issue 2: 01-06. Published: May 30, 2017; Volume 1 Issue 1: 55-57. Stoyneva-Gärtner MP, Uzunov BA and Dimitrova P.
Published: May 26, 2017; Volume 1 Issue 1: 51-54. Published: May 24, 2017; Volume 1 Issue 1: 47-50. Published: May 24, 2017; Volume 1 Issue 1: 46. Published: May 19, 2017; Volume 1 Issue 1: 37-45. Ramachandran Sudarshan and G Sree Vijayabala. Published: May 17, 2017; Volume 1 Issue 1: 35-36. Wadikar DD, Lakshmi Iyer and Patki PE. Published: May 17, 2017; Volume 1 Issue 1: 25-34. DR Nagawade, RW Bharud, VR Shelar, RM Naik, HT Patil, VP Chimote and CA Nimbalkar. Published: May 10, 2017; Volume 1 Issue 1: 11-17. Deepa Mishra and Rashmi Singh. Published: May 08, 2017; Volume 1 Issue 1: 07-10. Bhagya HP, Raveendra YC and Lalithya KA. Published: May 05, 2017; Volume 1 Issue 1: 03-06. Published:May 02, 2017; Volume 1 Issue 1: 01-02.